Vitrectomy or vitreoretinal surgery encompasses the posterior segment of the eye – vitreous and retinal. the most difficult areas of the eye. Prior to the era of this surgery many ocular diseases such as retinal detachment, diabetic retinopathy, foreign bodies have led to permanent blindness. 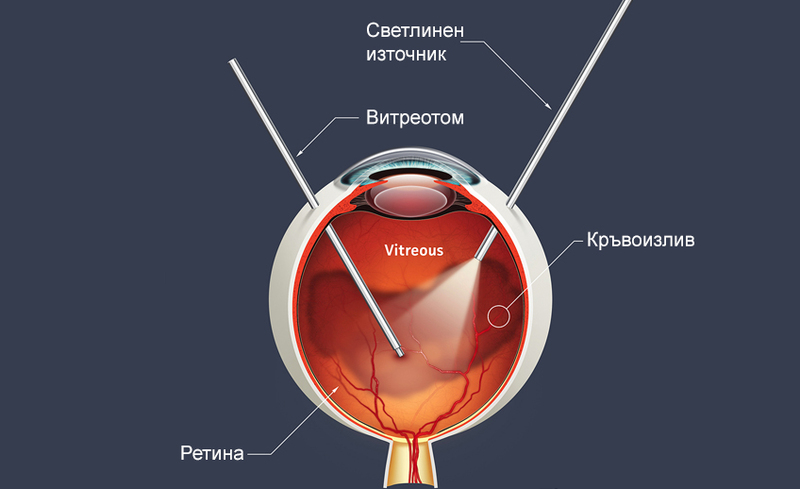 Now vitrectomy as a microsurgical treatment, using special techniques and tools, these diseases can be treated and blindness prevented. Blisters caused by bleeding, inflammation and eye infections. The first step is to remove the vitreous in a very small incision using a cutting and aspiration system called vitreotomy. After removing the vitreous, it is replaced with a solution similar to that previously in the eye. The surgeon can use special substances to achieve the desired goal, such as silicone oil and intraocular gas. Endo-photocoagulation (laser during surgery) is used in retinal tears and diabetic retinopathy.